GET LIFTED Niki Crawford heads up L.A.'s rawest, dustiest dectet. "There's mojo in the dust," says Orgone guitarist Sergio Rios, calling from Boise, Idaho, just after soundcheck. Orgone (pronounced with a long o) pride themselves on that dust—a raw, organic style like the "gritty, warm sounding recordings" of old-school funk and classic soul. After studying greats such as the Meters, Parliament and Booker T., Orgone have honed their craft of live funk instrumentation, heavily influenced by the breakbeat hip-hop scene of 1990s Los Angeles. When recording, though, Rio says, "we were dissatisfied when we'd go into studios. The kind of sound we'd end up getting always sounded kinda glossy and too shiny." Subsequently, Killion Studios emerged out of necessity. Named for the L.A. street where Rios lived, the old two-bedroom apartment became Orgone's private recording facility. "We use a lot of vintage instruments, like Rhodes piano [and] vintage drum kits. There's something of a soul in that," Rios says. After several albums, and after welcoming vocalist Niki Crawford, Orgone have found perfection in those gritty do-it-yourself details. "We try to emulate a lot of those older recordings while live," Rios adds. "We are honoring the stuff we love and all the reasons why we love it." They're also a highly sought-after backing band, having recorded or toured with Alicia Keys, Cee-Lo Green and the Roots, although these days, there isn't much time to collaborate. "We've been touring hard for the last three years, pretty relentlessly, so we haven't had much time to get involved with other artists," says Rios. "What was funny was how we were toying with it," continues Rios. "Two weeks after trying it on for size, we were playing a gig up in Fresno. The same bass player went to have a cigarette by the pool—mind you, Fresno is kind of a Twilight Zoning place—and he looks over on the patio table and there's this 1950s hardcover library copy of the theory of Orgone energy. So it kinda chose us. Over time, it has become intertwined with the essence of what we do." 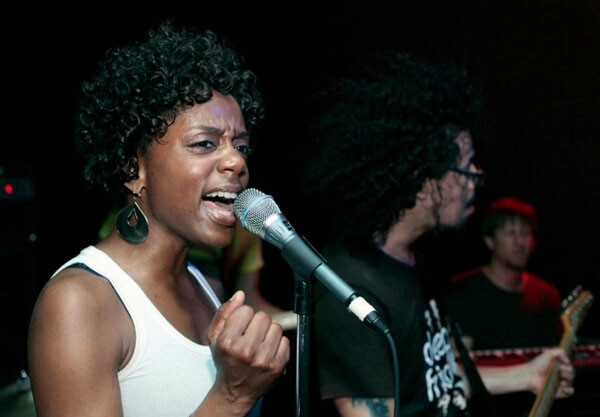 Get down with Orgone on Saturday, Sept. 29, at Hopmonk Tavern. 230 Petaluma Ave., Sebastopol. 8pm. $10. 707.829.7300.